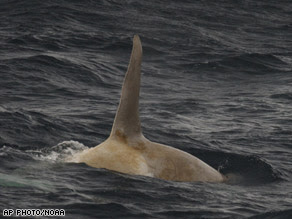 A white killer whale. How cool would it be to see that? Oh my -- a white killer whale!